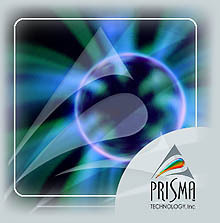 Prisma Agile Management ™ Programs are practical on-site executive programs designed to enhance management skills in leveraging technology for business value. Program I: Business Value Through Agility is an eight hour program and is highly recommended to develop a clearer executive understanding of how to leverage technology for business value. This program is presented in two parts, one week apart, each lasting up to four hours. Program II: Managing For Agility is the abridged version of Program I comprising two Modules and four Sessions. This program is presented in one day lasting around four hours.